Globalization and the dynamics of ecosystem sinks need be considered in post-Kyoto climate negotiations as they increasingly affect the carbon dioxide concentration in the atmosphere. Currently, the allocation of responsibility for greenhouse gas mitigation is based on territorial emissions from fossil-fuel combustion, process emissions and some land-use emissions. However, at least three additional factors can significantly alter a country’s impact on climate from carbon dioxide emissions. First, international trade causes a separation of consumption from production, reducing domestic pollution at the expense of foreign producers, or vice versa. Second, international transportation emissions are not allocated to countries for the purpose of mitigation. Third, forest growth absorbs carbon dioxide and can contribute to both carbon sequestration and climate change protection. Here we quantify how these three factors change the carbon dioxide emissions allocated to China, Japan, Russia, USA, and European Union member countries. We show that international trade can change the carbon dioxide currently allocated to countries by up to 60% and that forest expansion can turn some countries into net carbon sinks. These factors are expected to become more dominant as fossil-fuel combustion and process emissions are mitigated and as international trade and forest sinks continue to grow. Emission inventories currently in wide-spread use help to understand the global carbon cycle, but for long-term climate change mitigation a deeper understanding of the interaction between the carbon cycle and society is needed. Restructuring international trade and investment flows to meet environmental objectives, together with the inclusion of forest sinks, are crucial issues that need consideration in the design of future climate policies. 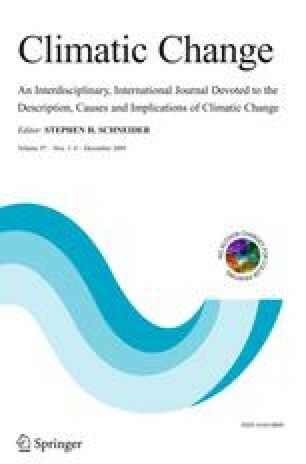 And even these additional issues do not capture the full impact of changes in the carbon cycle on the global climate system.